Whether you are buying or selling a business, there are several actions that are required from both parties. From establishing the price and starting negotiations to reaching an agreement and writing a check, business transactions have a specific timeline. With reputable expertise to advise buyers and sellers, experienced brokers have perfected the buyer/seller timeline. Here are some easy-to-follow guidelines. As the buyer, you enter the process in what could feel like the middle for a seller. They have already taken a number of measures to prepare a business for sale. Once the asking price is set and the listing is live, the buyer enters the picture. A buyer must first determine what kind of business they would like to purchase. This includes everything from industry and size to desired location. At this point, the buyer will want to meet with an experienced broker. This checklist will not only narrow down the search but will ensure realistic expectations are established before the buying process. An experienced broker will be able to find several businesses that meet industry and financial qualifications. Working alongside a broker, you can sift through a list of potential businesses and narrow down the list you would like to inquire about. At this point, a confidentiality agreement is expected. After signing a non-disclosure agreement, you will receive a package of information including financial summaries and historical information about the business. Then you will meet with the owner and be able to ask questions. You will write a contingent offer that will have a due diligence period. Before making an offer, do your research and ask every question you may have. In addition, discuss the pros and cons with your broker and determine if you are satisfied with where the business currently stands and the work that needs to be done. Once the contingent offer is accepted, you will have full access to financial records and business information during the due diligence period. After the due diligence is completed and the buyer is satisfied with the results, the parties move to create the final documents and close the transaction. The following documents are filed: bill of sale, note and security agreement, closing statements, noncompete agreements, leases, and approvals from all parties. Then, a closing date is chosen and you, as the buyer, will bring a cashier’s check to finalize the deal. As the seller, you have a few additional steps to take behind-the-scenes before a buyer is even in the picture. Review these important steps below. Before you can put your business on the market, you need to determine an appropriate listing price. In order to do that, you need to organize your financials. With the help of a business advisor, you can sort out profits, industry standing and customer loyalty. From customer reviews, to the growth of your industry or neighborhood, each of these details will help determine an asking price that will attract the right buyers. 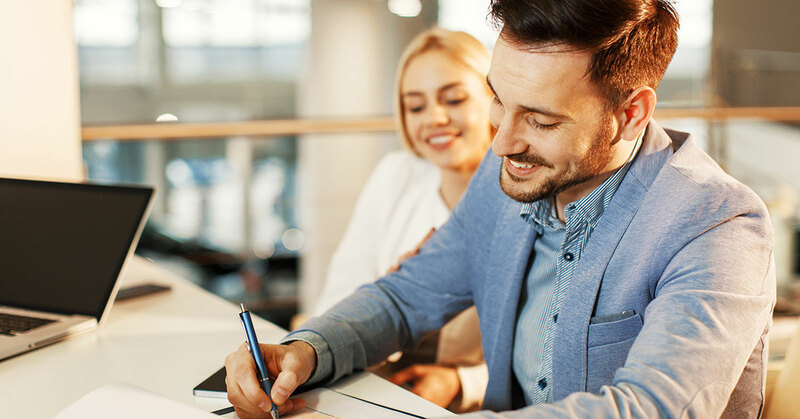 Experienced business brokers often work closely with both buyers and sellers and can help you determine if a buyer is legitimate, making it easier to know which inquiries merit a response. If a buyer is serious about purchasing your business, they will sign a non-disclosure agreement and receive a package of information about your business. This protects your proprietary information and will deter any buyers not making a legitimate offer. At this time, you will be asked a number of questions regarding financials, employees, customer base, etc. There is no rock left unturned. Additionally, your broker will schedule business visits and tours, which are standard during this time. The seller will then provide a contingent offer that will have a due diligence period. Once it is accepted, then they have access to full financial and other business information during a due diligence period. Once an offer is made, sit down with your broker and discuss the pros and cons of each buyer, should there be multiple. Some buyers may make an offer below or above the asking price, this is a conversation to have with your advisor. You can accept any offer that feels appropriate depending on the buyer and the negotiations. After the due diligence is completed and the buyer is satisfied with the results, the parties move to create the final documents and close the transaction. Once you have chosen a buyer, your broker will work closely with the buyer or their broker to determine a closing date. The appropriate documentation must be filed and then the sale can be finalized. Once you have accepted a cashier’s check from the buyer on the closing date, the business is officially sold. No matter how many sales you may have under your belt, selling or buying a business will always take time. However, with the help and guidance of an experienced business broker from Transworld Business Advisors, the process can run smoothly and without any unnecessary headaches. If you are in the market for a business or are looking to put yours up for sale, contact Transworld Business Advisors today!